The reason for the uniqueness in camera cut out on Galaxy S10+ would be the dual secondary camera , he further adds that out of the two front cameras the first camera will be a regular sensor while the second sensor will support wide-angle shots. By this info its obvious that one camera will be bigger than the other and thus a different sized cut-outs would be required. So it is said that, in the hope of maintaining a cleaner design, Samsung will be using a pill-shaped hole on the display of the Galaxy S10+ which will incorporate both front-facing cameras and thereby would avoid two separates cutout which would create more complexity. 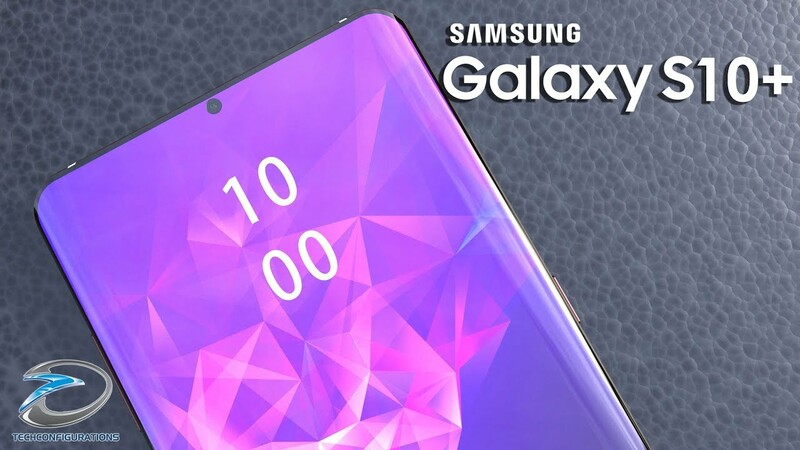 Apart from the new dual front camera the Samsung Galaxy S10+ is set to arrive with a new 6.4-inch Infinity-O display that offers a very impressive 93.4% screen-to-body ratio and would be powered by either Qualcomm’s Snapdragon 8150 or the Exynos 9820, depending on the region. These new flagship chipsets will be more powerful and efficient than outgoing processors, thanks to the new 7-nanometer process. However, by combining this efficient chipsets with significantly larger 4,000mAh battery the Galaxy s10 would be able to provide better battery backup than the Galaxy S9+ which uses a 3,500mAh battery. According to the early reports, Samsung has planned three Galaxy S10 models for 2019 following the 2018 iPhone series. Out of the three Galaxy S10 models, two models will feature a curved edge panels while the more affordable model would feature a flat display.